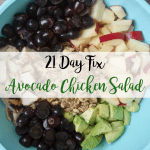 This Avocado Chicken Salad is a quick and easy, clean and healthy, 21 Day Fix approved meal. 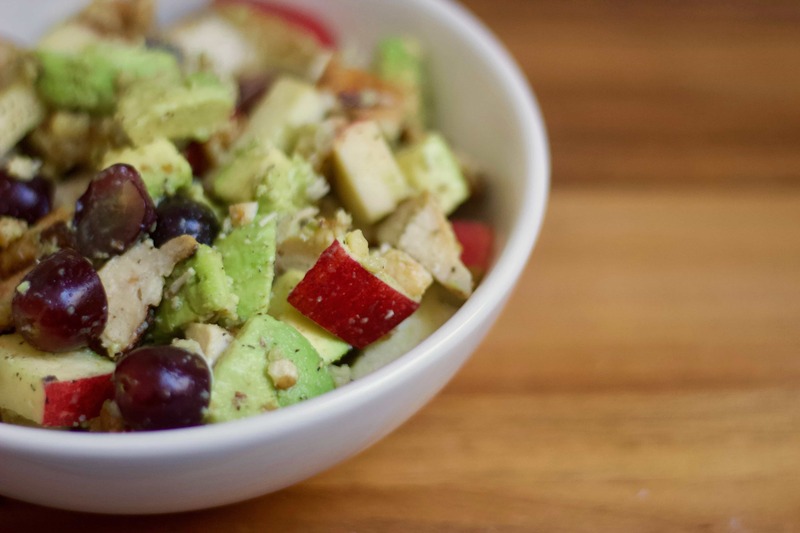 No mayo is in this salad, just avocado, walnuts, grapes, and apples. Confession #33- I might be MIA for the next few weeks. I’m a teacher. It’s June. And each year I forget how insane this month is. I’m not complaining, silly; I know will have my whole glorious summer vacation ahead of me. I’m just telling it like it is! 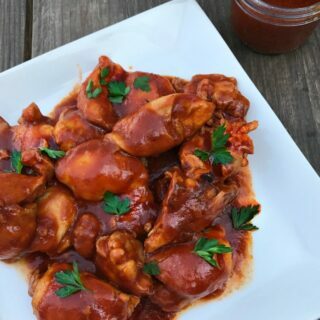 I promise to post here and there when I can, but my goal of 2-3 new recipes a week might be tough to do for the next two weeks! 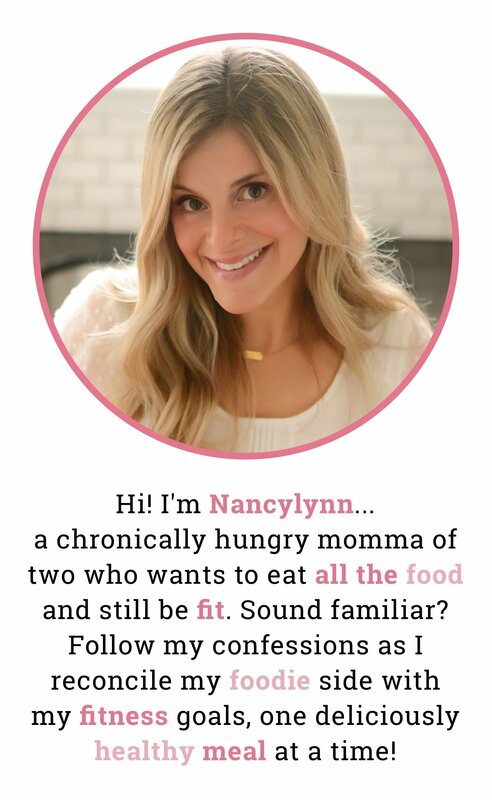 But then you’ll have summer Nancylynn. I’ve always been way more fun in the summer! Anyway, one highlight of my school year has been this cooperative clean eating group we have going on! 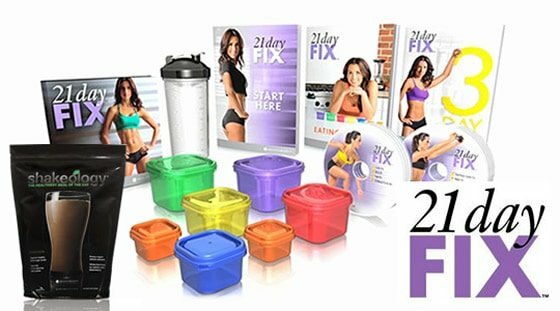 It’s so fabulous to share the prep work and meal planning with others…and we have all been so much healthier because of it! I’m going to miss this crew! 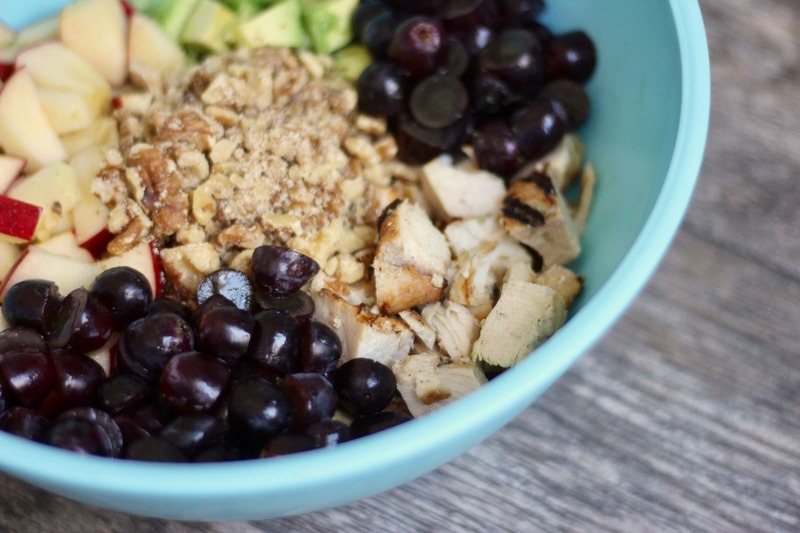 I made this yummy chicken salad for us recently and it was a hit! 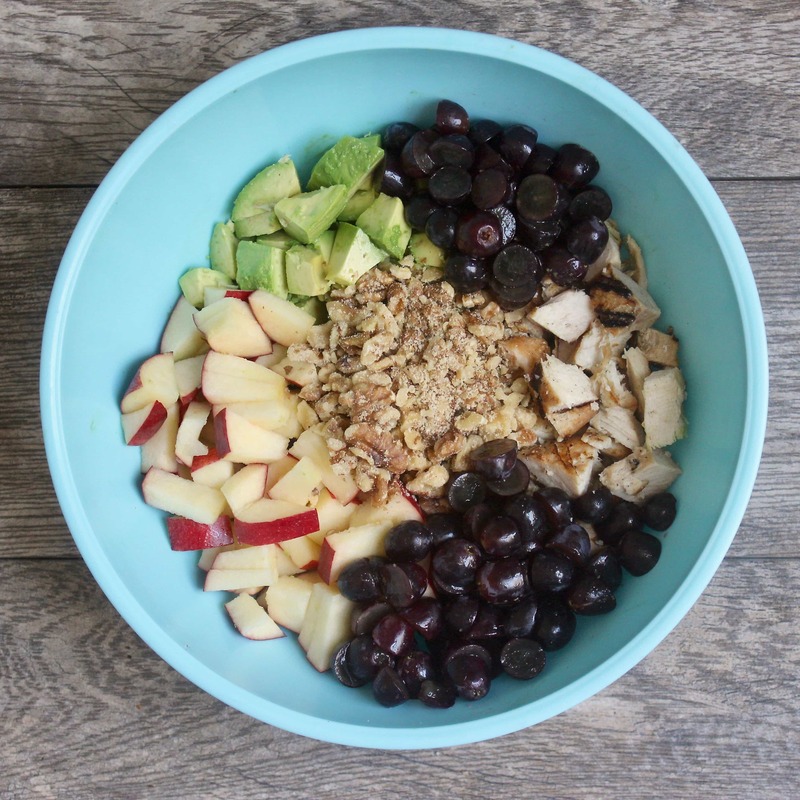 No mayo- just yummy avocado, walnuts, grapes and apples! 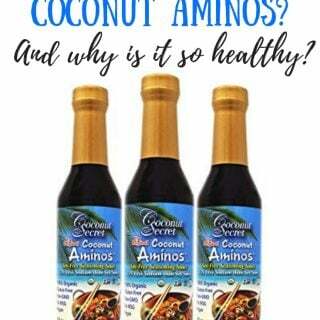 Crunchy, sweet and oh-so-good! 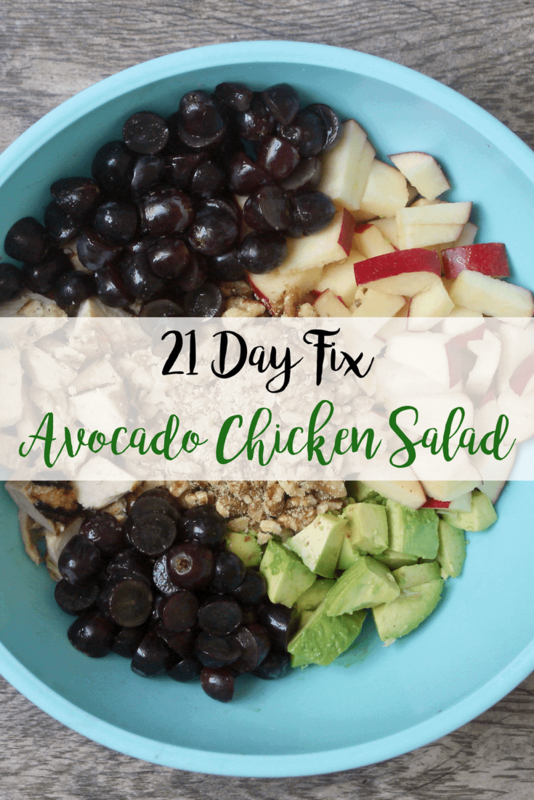 Give this avocado chicken salad recipe a try, and let me know what you think! Then mix in 1-2 avocados! I used 1 1/2 for this and it was perfect! Measure the avocado in your blue container to be precise. 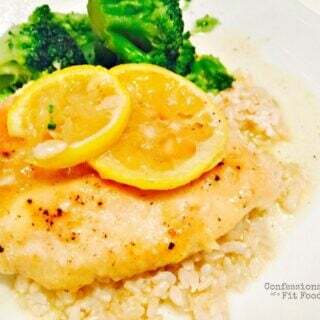 Squeeze some fresh lemon over top and season with salt and pepper. 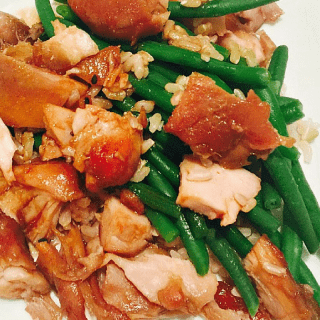 **If you are prepping this in advance, add the avocado right before serving!